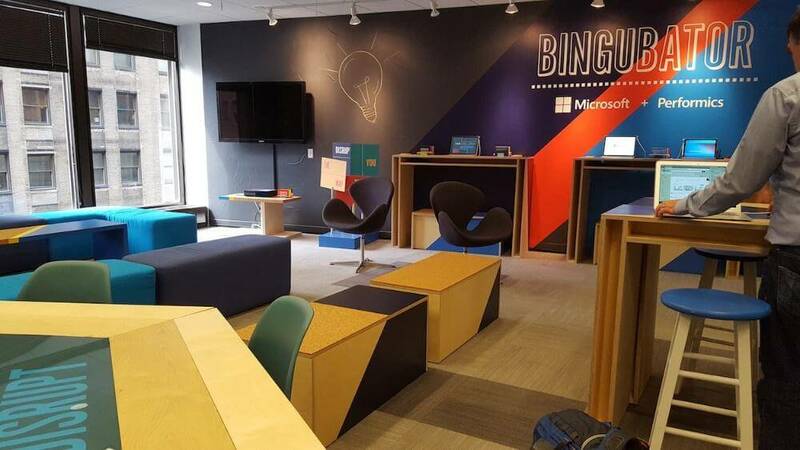 Today, Microsoft Corp. and Performics are hosting the first ever Bingubator session with Microsoft HoloLens. Bingubator is both a space and an experience derived by Bing Ads in conjunction with its industry partners to collaborate on new ideas to create innovative customer concepts. The goal of this event is to foster collaboration across the search and media industries in the Bingubator’s open and collaborative environment reflecting Microsoft’s own open partnership approach. Inside the Bingubator visitors will find a variety of technology that can be discovered and experienced first-hand and act as a source of inspiration for groups of creative and technology experts to come up with new and exciting customer experience uses and applications for the marketing industry in Chicago and beyond. Today’s event welcomes teams from Mediavest | Spark, Starcom and of course, Performics and Microsoft. There will be presentations on the technology available to inspire creativity which includes Surface 4 and Surface Books, Xbox, Bing, Windows 10 and Microsoft HoloLens. Attendees will also be invited to experience the technology for themselves, including Microsoft HoloLens throughout the day, and will be given the opportunity to jointly ideate and add their own interpretation and concepts using the tools and space provided. The Bing Network, which today powers nearly one-third of all PC searches in the US, is thrilled to be working closely with its highly-valued partners for the future growth and innovation of the industry and we look forward to many inspirational Bingubator sessions in the future.